Home/blog, news/How to run for Local Office Forum – a success! How to run for Local Office Forum – a success! 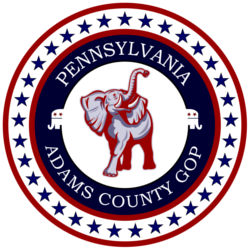 The Adams County Republican Committee hosted a “Local Candidates Forum” on Tuesday, 01/29/2019, at its Gettysburg Office. A dozen people interested in running for municipal office turned out to hear borough council members, township supervisors and school board members share practical advice on running a local campaign and their experiences in office. The forum was set up to help these people discern which offices they may best be suited for and may wish to invest their own time, talent and experience in to serve the better interest of their own communities. 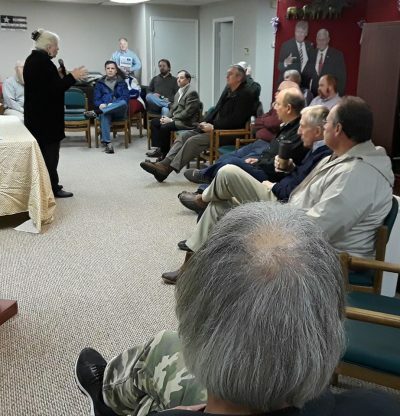 Pictured here is ACRC Chair Betsy Hower explaining the candidate’s petition process and the timeline candidates must follow to get their names on the official GOP Primary Ballot to be voted this May 21st.